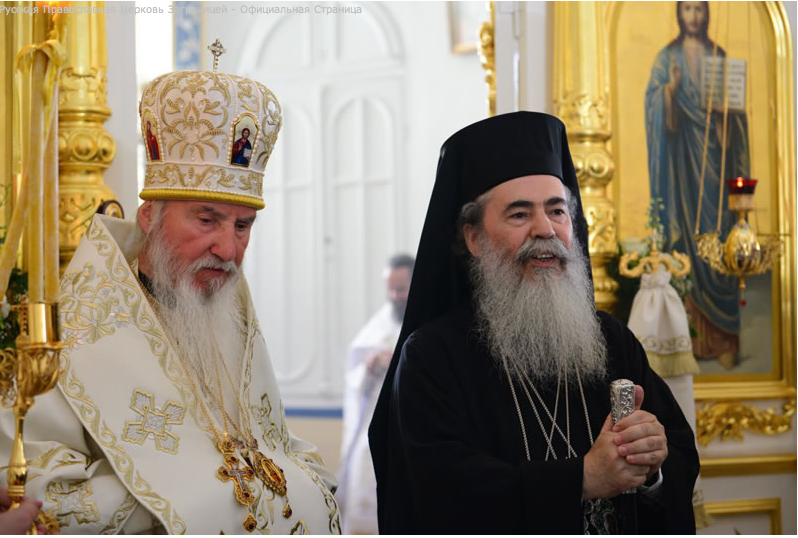 On Thursday, June 13, 2013, the feast day of the Ascension of the Lord, His Eminence Archbishop Mark of Berlin and Germany officiated at Divine Liturgy at Holy Ascension Convent on the Mt of Olives, Jerusalem. 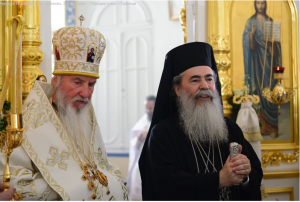 He was joined by the heads of both Russian Missions in the Holy Land: Archimandrite Roman (Krassovsky) and Archimandrite Isidor (Minaev). At the conclusion of the service, His Beatitude Patriarch Theophilos III of Jerusalem arrived and delivered a sermon to the worshipers. At the end of the service, a solemn procession of the cross circled the convent church.